Whitetail deer numbers in this section of the state first became huntable around 1970. We began intense management of our deer herd in the mid 70′s. From 1976-86 we maintained a doe harvest to keep the population at optimum levels and to keep the buck: doe ratio in balance. 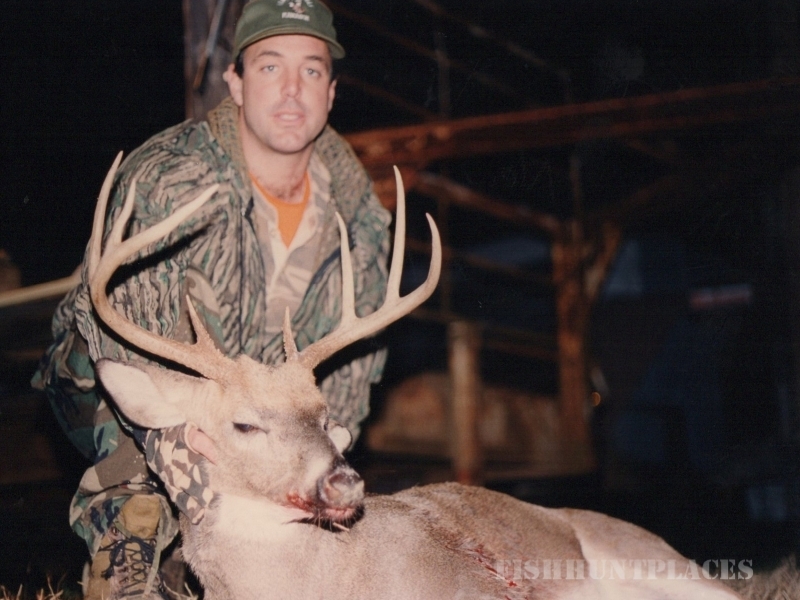 In 1986 we enrolled in the Alabama Department of Conservation Game and Fish Division’s “Co-operative Deer Management Program”. We have participated in this program each year through the present day. Under this program our biologist determines how many doe tags we need to fill each season. 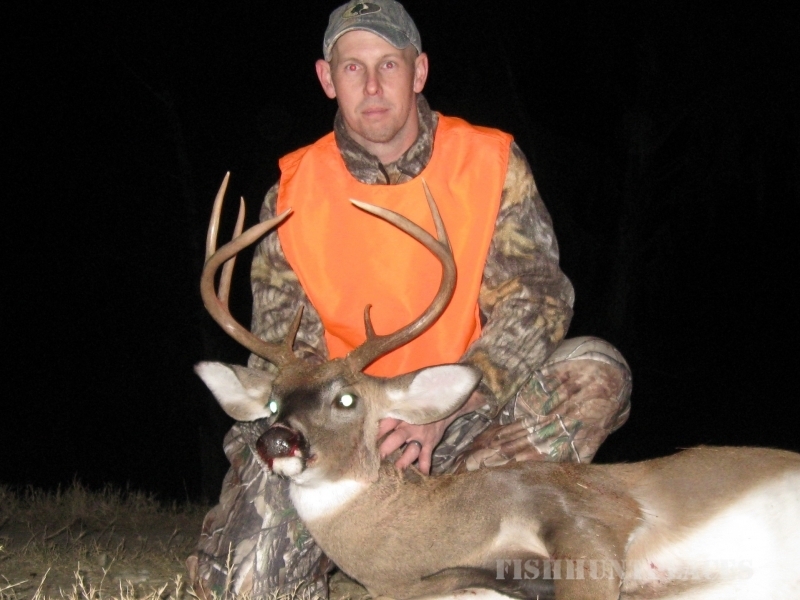 This limited number of doe tags can be filled anytime during the regular antlered buck season. Alabama law allows the harvest of 3 bucks per season. 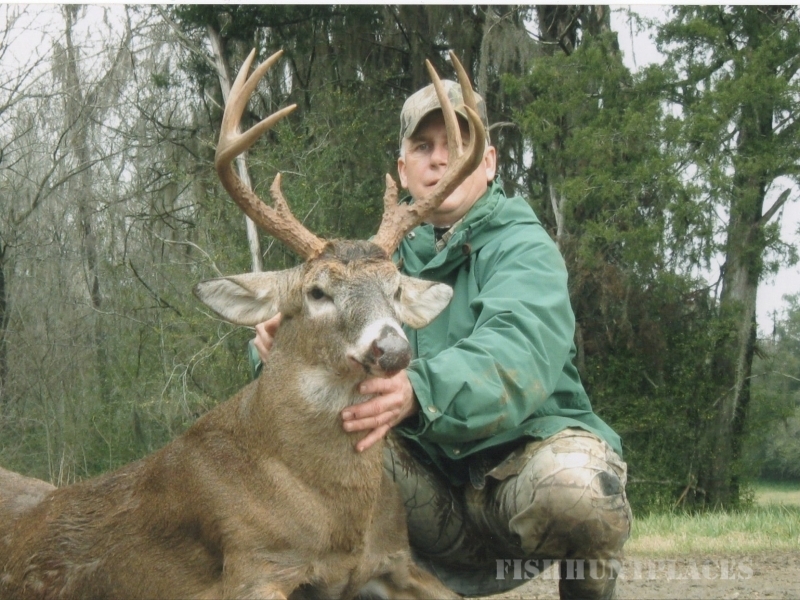 Most hunting lodges in Alabama have additional restrictions on bucks you are allowed to harvest such as 8 point or better and spread outside the ears. We have the “Hamilton Hills Slot Limit”. 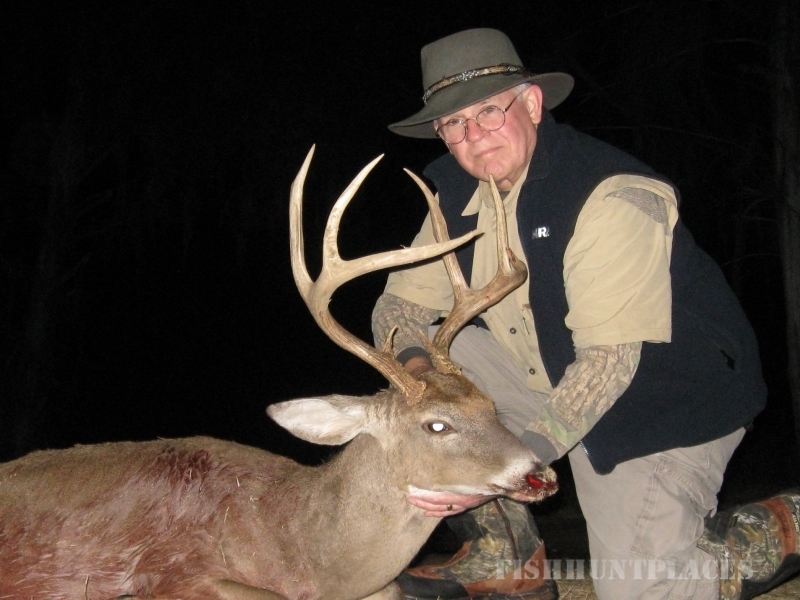 Under the “Hamilton Hills Slot Limit” our hunters are allowed to harvest 3, 4, and 5 point bucks, mature(3 1/2 year and older) bucks, and of course does. You are not allowed to shoot spikes or 2 1/2 year old 6, 7, and 8 point bucks. 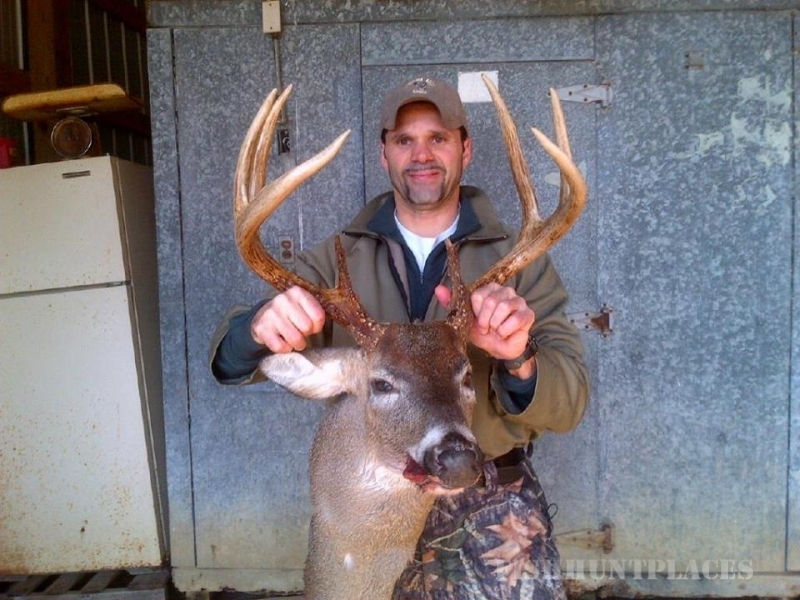 In Alabama, university research has shown spike bucks are almost always immature (1 1/2 year old). The “Hamilton Hills Slot Limit” protects these immmature (1 1/2 year old) spike bucks along with the 2 1/2 year old 6, 7, and 8 point bucks. We allow these 2 1/2 year old bucks to reach 3 1/2(and many make 4 1/2 and 5 1/2) before they are killed. 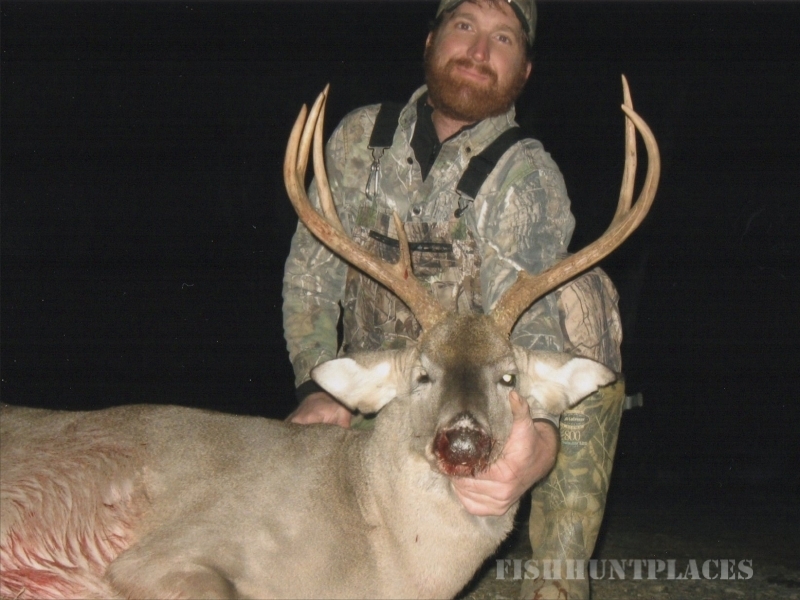 These mature bucks breed does passing their superior genetics on to the next generation. 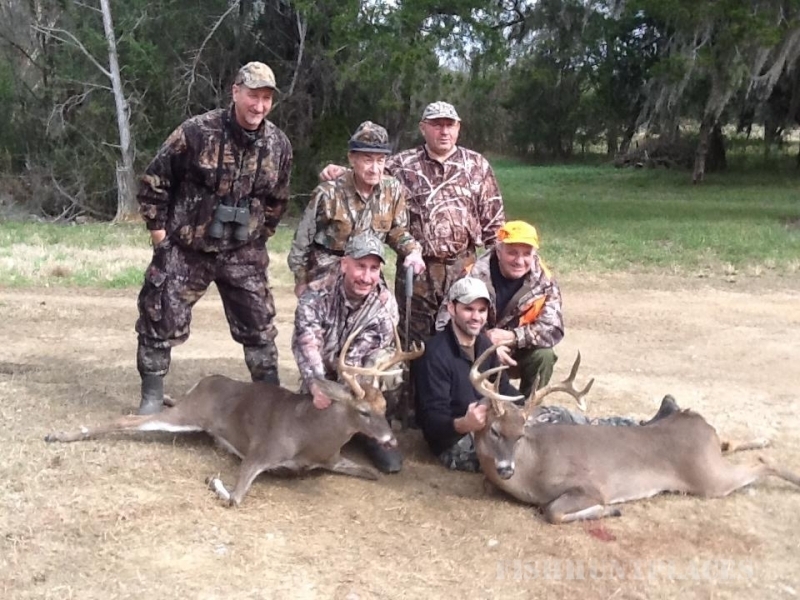 How do you determine what 2 1/2 year old 6, 7, and 8 point bucks look like? When you arrive for your hunt we show you examples of racks from 2 1/2 year old 6, 7, and 8 point bucks along with 3 1/2 and older bucks. The differences are obvious as the 2 1/2′s have smaller bases and over all much less mass than the older deer. And of course the 2 1/2′s have smaller bodies (120-150 lbs.) 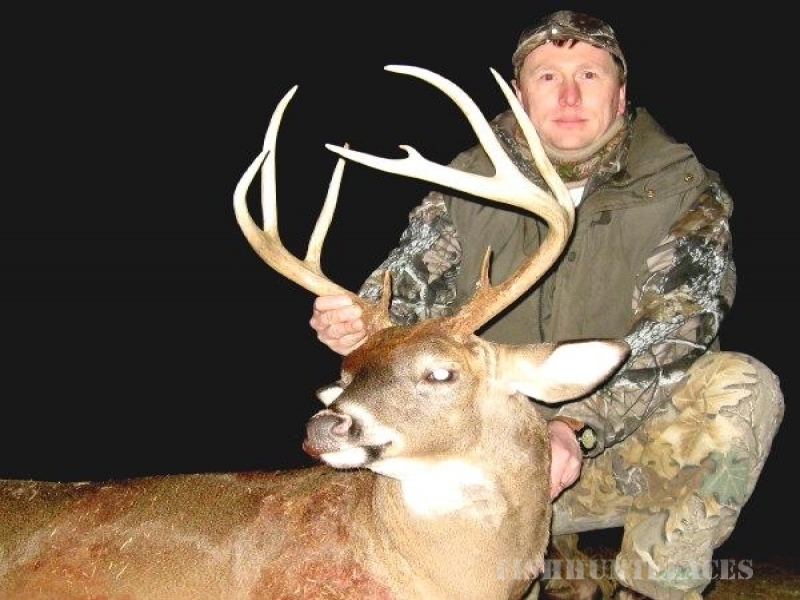 as compared to 3 1/2 and older bucks(150-200+lbs.). We do not charge fines for mistakes. If a spike or a 2 1/2 year old 6, 7, or 8 point is killed by mistake, we keep the antlers and the meat as a penalty; however, again we do not charge a fine.